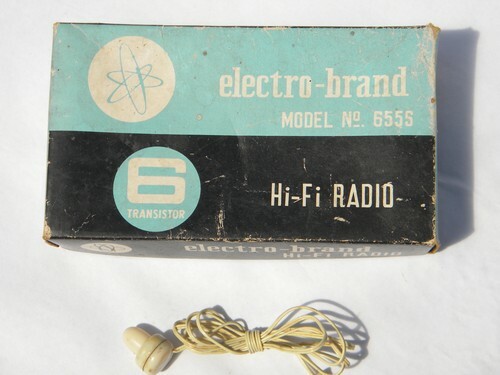 Retro 1960s or early 1970s vintage Electro-Brand six transistor Hi-Fi radio with the original box and earphone. 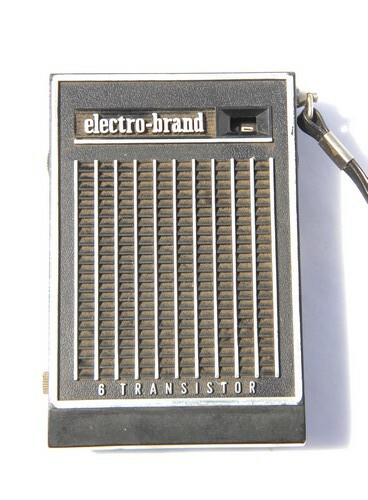 This takes a 9 volt battery and works. 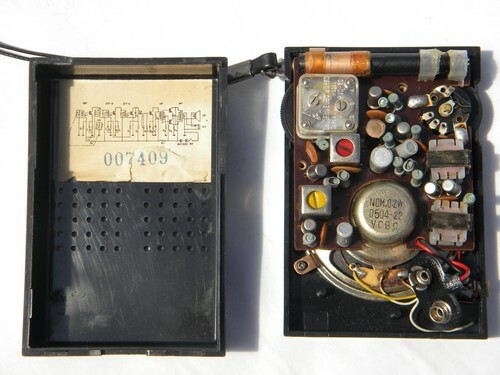 There is a wiring schematic on the inside of the case. 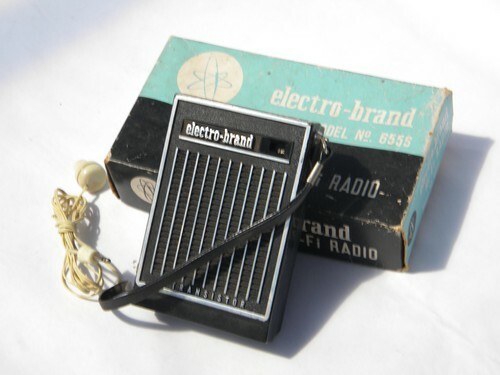 The box is worn and the radio has some dust and soil from storage.